NEW YORK (April 13): U.S. stocks eased on Wednesday and the S&P 500 closed below a key technical level for the first time since Election Day, pressured by lingering geopolitical concerns and President Donald Trump's comments on the dollar and interest rates. Trump said in a Wall Street Journal interview that the dollar "was getting too strong," though he also said he would like to see interest rates stay low. The dollar, which has risen along with prospects for higher rates, hurts profits at U.S. multinationals when it strengthens. "Markets don't like uncertainty" said Peter Tuz, president of Chase Investment Counsel in Charlottesville, Virginia. "This just kind of added another wild card into the mix in a way, whether there will be actions taken to keep the dollar from strengthening further." Investors sought shelter in defensive shares and other low-risk assets. Industrials and materials were the biggest drags on the market along with financials, while utilities, staples and telecommunications gave the S&P 500 its biggest lift. 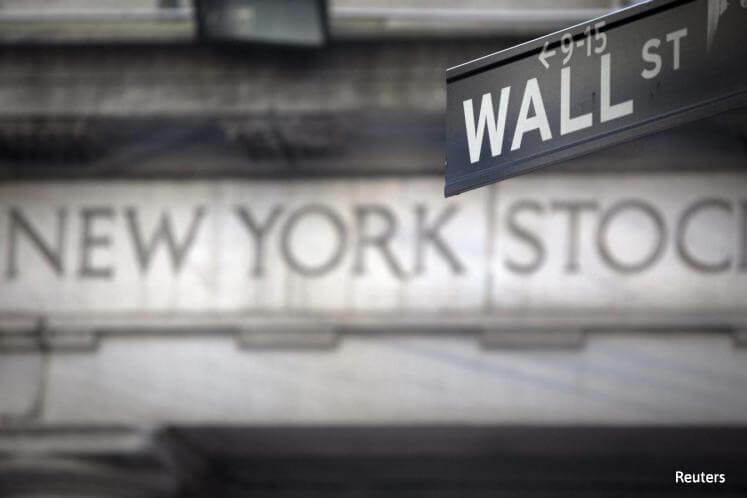 The S&P financial index was down 0.9 percent a day ahead of results from three major banks in what will mark the start of the corporate earnings season. Analysts are expecting earnings to have risen 10 percent for all S&P 500 companies in the first quarter, Thomson Reuters data shows. The materials and industrials indexes both ended more than 1 percent lower on the day. The S&P 500 closed below its 50-day moving average, a closely watched indicator of the intermediate-term trend, for the first time since Nov. 8. At the same time, gold and the CBOE Volatility index, Wall Street's fear gauge, rose. Rising U.S. tensions with Russia, North Korea and Syria after U.S missile strikes in Syria last week and the moving of U.S. warships toward the Korean Peninsula have kept investors cautious. The Dow Jones Industrial Average closed down 59.44 points, or 0.29 percent, to 20,591.86, the S&P 500 lost 8.85 points, or 0.38 percent, to 2,344.93 and the Nasdaq Composite dropped 30.61 points, or 0.52 percent, to 5,836.16. Investors are concerned these developments could distract Trump from pursuing pro-business policies such as tax cuts, simpler regulations and higher infrastructure spending, promises that have powered Wall Street to record highs since his election in November. Wells Fargo, Citigroup and JPMorgan are due to report results on Thursday, the last trading day of the week ahead of the Good Friday holiday. Delta Air Lines closed down 0.5 percent at $45.05 despite a better-than-expected quarterly profit and an upbeat forecast for current-quarter passenger unit revenue. Declining issues outnumbered advancing ones on the NYSE by a 2.16-to-1 ratio; on Nasdaq, a 2.23-to-1 ratio favored decliners. The S&P 500 posted 12 new 52-week highs and one new low; the Nasdaq Composite recorded 51 new highs and 42 new lows.